Our Task – Deliver a website carrying a Responsive Design, to focus on the growing Mobile Traffic, and make it easy to manage for the Administrator. 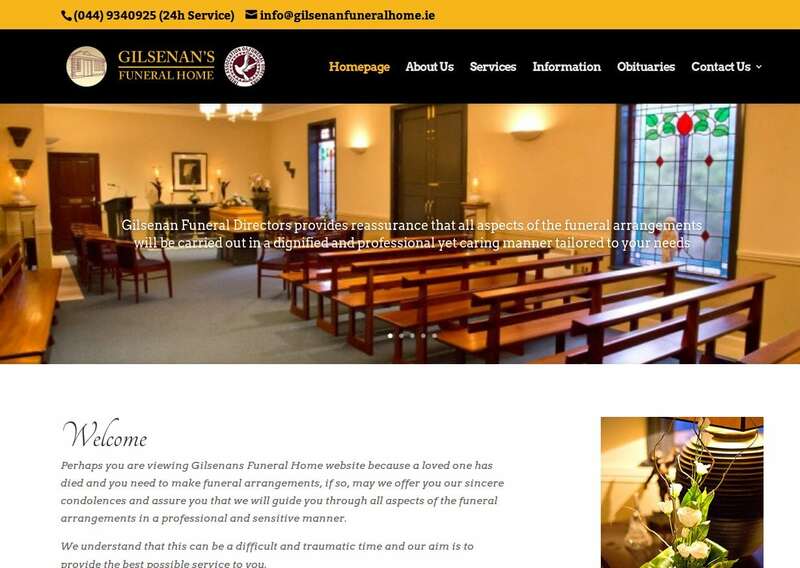 Gilsenan’s Funeral Home is a well known Funeral Directors business in Mullingar, Co. Westmeath. By using WordPress as a Content Management System, we ensured that the website was easy to update by the Administrator. In this case an Obituaries page was needed. The website is clean with a strong emphasis on quality images of the Funeral Home.